Join us November 16-18. Friday and Saturday hours are 10am to 7pm, and Sunday is 11am to 3pm. Art Fair shoppers on Saturday may choose to stay for Beverly "Guitar" Watkins and The RD Olson Band. Beverly Watkins is the queen of blues guitar, a consummate musician. Backing her is the R.D. Olson Band. The concert is held next door at the Zumbrota State Theatre and starts at 7:30pm. Tickets are $28 in advance; $32 at the door. The Clay Studio will be open; meet several of the members who will have ceramics for sale. Also check out new artwork in the gallery as local artists have been restocking the gallery for the Holidays. Three will be on-hand to talk about their original creations with patrons. 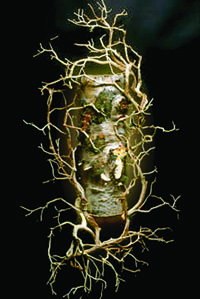 Brenda Griffin-Wagner has been creating functional lighted sculptures and paintings since 1994. Her studio, Canopy, was born from a love for nature and spending as many hours as possible hiking in the woods along the North Shore of Lake Superior. Brenda is inspired by the infinite variety and resonance of pattern found in the natural world. 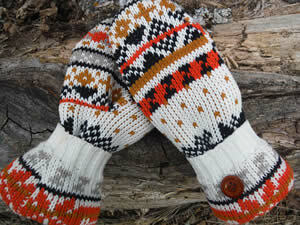 These mittens not only will keep fingers toasty warm all winter long, but are made with up-cycled 100% wool sweaters. Every creation is uniquely hand crafted. At Bubbles by Brooks, we use the highest quality, purest grade plant ingredients in all of our products. Our products are designed to support and enhance the skin's natural restorative processes without the risk of potential carcinogens being applied to your skin. Bubbles by Brooks is inspired by the understanding that we are all interconnected...with each other, the earth and everything living on the earth. We provide natural, earth-friendly personal care products that help our customers live a more healthy and sustainable lifestyle. 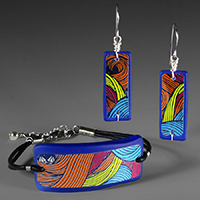 Stella Sparrow Designs by Lynn M. Lentz, who stamps images into hot metal and uses a hot solder process in creating beaded jewelry and other pieces that also include mixed metal chains. She enjoys the unpredictable elements that arise from this process, and also likes to use both old and new materials. Chris Whillock grew up in woodcarving family following his father (Ivan) from art show to art show and helping with the family tool and supply business. Currently Chris teaches woodcarving classes, sells his woodspirit and Santa carvings throughout the midwest as well as runs the day-to-day mail order business whillockwoodcarving.com. Chris was editor of the Nationally distributed Carving Magazine for 7 years. by Linda Banning LB Designs by Linda Banning, who personally designs and handcrafts each piece of jewelry. The glass is hand cut and ground smooth to shape and size. Stained glass is wrapped in copper foil and soldered. Bottles are ground smooth and drilled to affix findings. 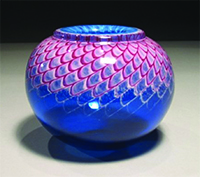 Jon Offutt is the artist behind the House of Mulciber Glass Studio, named for the Roman god of fire. Jon creates blown vessels and sculptures in his fascinating south Fargo studio. 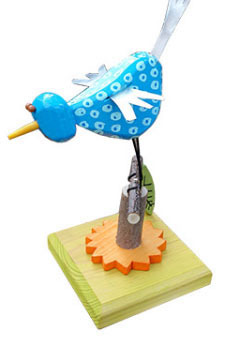 Wood Creations by Craig and Madeline Carey Handmade Neo-Folk art furniture and home accessories. Individually unique and colorful wood, tin and paper mache. 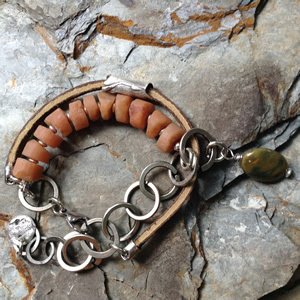 Jewelry made with rocks from Lake Superior and sterling silver. I am a Minneapolis based metalsmith who has been making jewelry professionally since 1999. I work primarily with sterling silver and rocks from the Great Lakes in my designs. Elsa Jo Ellison’s handspun yarn, fiber art, wearable art, and wall art are hand made of wool from sheep on her farm. 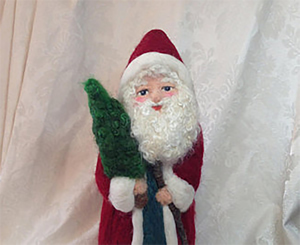 Made available at Crossings are adorable felted Santas and other holiday characters to brighten your home this season.